Fans of the Douglas Adams' sci-fi classic Hitchhikers' Guide to the Galaxy will recognise the name Milliways or The Restaurant at the End of the Universe that inspired the name of this SoBo delivery service. 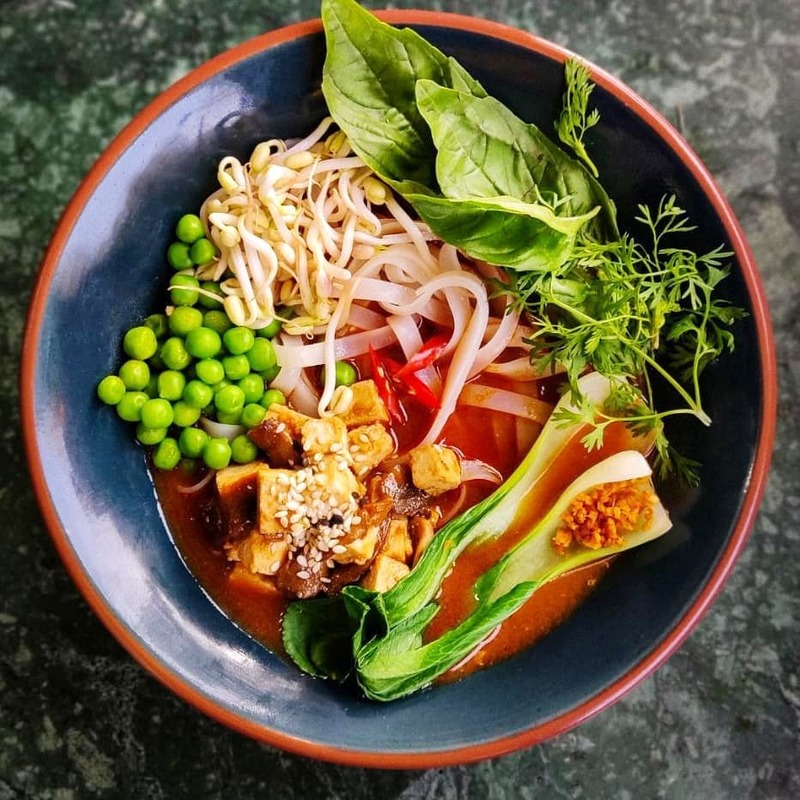 Run by chefs Ashwin and Yash, with work experience at ITC and Pa Pa Ya, the restaurant serves heart-warming bowls of steaming hot ramen and pho in trend with the wave of new Asian restaurants that have set up shop around our city. What's better than a deliciously soft bao with a crispy chicken filling and a hit of sriracha or a tasty bowl of momos smothered in a garlicky tomato broth? Not much, we say! The menu is surprisingly extensive for such a small place and you'll find everything from bao sandwiches, pan-fried noodles, appetizers, ramen, Vietnamese pho, khao soi and more here. For veggie diners, fear not! There's a delicious Black Pepper Mapu Tofu Bao with the just the right balance of heat from the black pepper, the crunch of pickled veggies and umame flavour of the shitake mushrooms. The Barbecued Pulled Jackfruit Bao is another option for the more adventurous diner. On the non-veg list, the Miso Ramen with Braised Chicken is sure to hit just the comfort-food spot you needed, and delivered in an insulated pouch, it promises not to be soggy by the time you eat it. There's just one dessert on the menu - the Spaced Out Dark Chocolate Mousse. While deliciously rich from the dark chocolate and nutty from the sesame brittle, it's just one option. One more non-chocolate version would be great too. We also found the DIY assembling of each dish a little cumbersome - while this keeps the food fresh and hot, it just takes that extra five minutes and works best if you have a microwave. Order in advance during peak time and don't forget to ask for chopsticks for that authentic dining experience.